This is a small portrait of my Dad painted in oils on a canvas board. Its going to be a gift for him as he has just started drawing again at the grand age of 76 which just goes to prove its never too late! I remember him drawing people and faces when I was just a kid so it makes me so happy to see him finally pick up the pencil again! 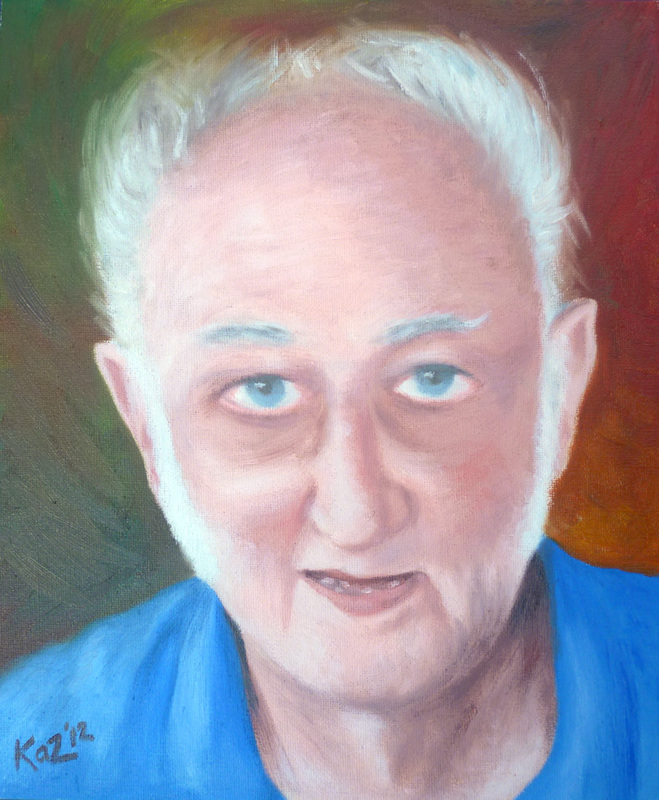 Portrait of Dad - painted with oils on canvas board (size: 25 x 30cm). 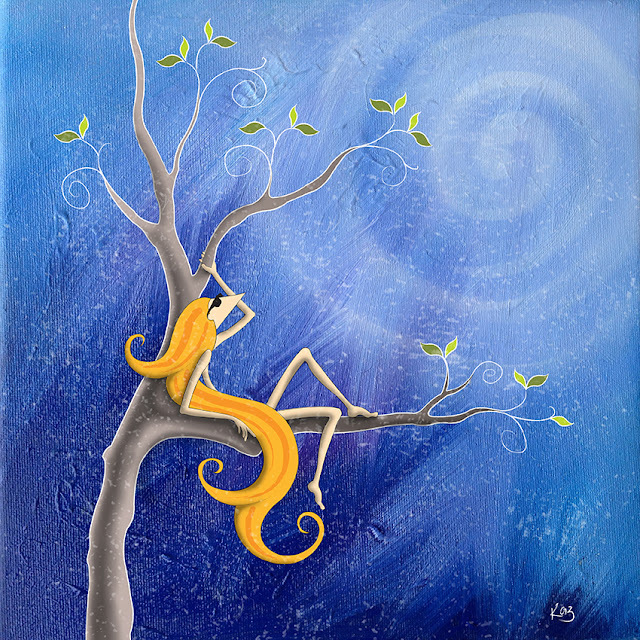 The colourful background was created by using all of the leftover paint on my palette. 'Waste not, want not' as my Father used to say! Really nice Karen. He looks like someone who tells great jokes. He also looks very sweet.